All industries suffer from voluntary churn — the loss of customers to some other company. The survival of any business is based on its ability to retain customers. This is particularly true for phone, cable TV, satellite TV and wireless companies. How do you reduce churn? There are many ways: better products, better delivery methods, lower prices, building satisfactory customer relationships, better marketing and, above all, successful customer communications. Wireless companies today measure voluntary churn by a monthly figure, such as 1.9 percent or 2.1 percent. This is the average number of customers who quit their service per month. Annual churn rates for telecommunications companies average between 10 percent and 67 percent. Industry retention surveys have shown that while price and product are important, most people leave any service because of dissatisfaction with the way they are treated. They would not be looking around if they were happy with their current provider, its service and employees. Roughly 75 percent of the 17 to 20 million subscribers signing up with a new wireless carrier every year are coming from another wireless provider and hence are already churners. It costs hundreds of dollars to acquire a new customer in most Telecom industries. When a customer leaves, we lose not only the future revenue from this customer but also the resources we spent to acquire the customer in the first place. Communication is the heart of successful churn reduction. As a start, I would use Automatic Number Identification (ANI) and your customer database to identify all customers when they call your customer service. Bring their complete history up on the screen when they call, including their profitability segment. Successful companies have special Gold Customer teams. Their customer service call director automatically routes calls from such customers directly to these teams. The same process can be used on the Web. If a customer has been to your Web site before, you should, with permission, retain their call history using a cookie. When Arthur returns for some reason – tomorrow or next year – you can say, “Welcome back, Arthur” as Amazon does. It costs nothing to do this. Is it important in reducing churn? You can easily measure this. The measurement will cost you nothing. Use an A/B split automatically to welcome back half your customers when they return, and treat the other half like unknown strangers. Measure the churn percentage of both groups. You will soon see the value of welcoming customers when they return. When they come back, you can do more than just greet them. You can arrange your Web site to feature products and services of interest to them. If they are a broadband customer, they may be going to the Web site about that. If they are a TV customer, keep track of what such customers inquire about when they come to the Web site. Make the opening page relevant to what similar customers have wanted to see, not what you want to sell. The second step is rapid problem solving. Telecom involves problems. The number one problem is billing errors, or: “My service is down”. “My service is slow or erratic”. “I cannot get what I want”. To keep your customers you have to have a really reliable way to anticipate customer’s problems by keeping track of what most people and this particular customer have asked about. Next, you have to have a good system for letting the customer know what you are going to do about the problem, when it is likely to be solved, and how to get back in touch with the right person right away if it is not solved. The third step is outbound: e-mail, direct mail, Web site and phone. Capture e-mails from all your customers, with permission to use them. Use e-mail, but do not abuse the privilege. Make sure that every e-mail to the customer is relevant to what the customer might be interested in, not what you want to sell. Your goal is to retain the customer. Keep that at the top of your agenda. What can you say to your customers? Your service will be fixed, upgraded, modified by this date. I have been a customer of my local phone company for five years. Other than the monthly bill, I never hear from them. When I wanted broadband, I spent some time finding the phone company service that finally hooked me up. After four years with their broadband, I learned from a magazine article that they might have a faster broadband service. I called them and finally got through to someone who knew that such a service was available. They signed me up right then and there. I found, to my surprise, that the new faster service was less expensive than my existing slower service. What a lucky break for me! I was planning to switch to a cable TV broadband provider which had faster service, but I called the phone company just on the off chance that they had what I wanted. Why didn’t the phone company get in touch with me? They had my e-mail. What would it have cost them to send me a message? I suppose that some smart executive thought, “We have this better service at a lower price, but why should we tell our customers about it? It will just cost us money. What they don’t know won’t hurt them.” And, he is probably right. But before you agree with him, consider what the competition is doing. If they are mailing offers to your customers, it may be false economy to keep your lower price plan a secret. An important telecom outbound message is the one that gets customers to sign up for an additional product. Statistics in dozens of industries have proved conclusively that the retention rate is a function of the number of products that a customer is buying from your company. The higher retention rate of multiple product purchasers is the reason why telecom companies are trying to sell “The Triple Play” of phone, broadband and TV. By selling a landline customer broadband, you make a profit from the broadband, but you also reduce the likelihood of churn by this particular customer. If you can also sell him TV service, you may have him for life. You make it nuisance to switch. Inside telecom companies, products are often contained in silos, with a SVP for Internet Access, another one for landlines, another one for Wireless Service, and another for IPTV. Each SVP has his own organization, goals and objectives, plus service and bonus plans. The landline guy may not get a bonus because some of his customers sign up for broadband or IPTV. But these second products are vital to the long term success of the enterprise as a whole. To reduce churn, a telecom has to find a way to compensate service providers for internal cross sales. Airlines have been highly successful in rewarding frequent flyers. Frequent travelers work to acquire Gold status. The airline provides better service and significant rewards to these Gold customers. Gold customers know that they are Gold. They put gold tags on their luggage. They have special gold telephone numbers that they can call for special services. They can upgrade and get on the plane first. As a Platinum member of American Airlines, I can report that it is really great to know that I am Platinum. I get services and respect. So who are the telecom Gold customers, and what can you do for them to make them feel Gold? 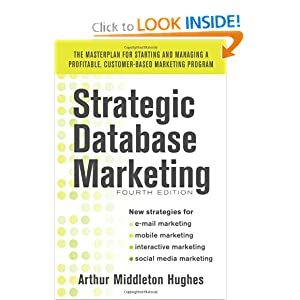 An analysis of your database will reveal the 20 percent of your customers who provide you 80 percent of your revenue. While you can tolerate a certain amount of churn, you cannot afford to lose your Gold customers. You must make special efforts to retain them. What can you do? Why not tell them that they are Gold? Back to my phone company experience: I am a residential customer who works at home, living in a condo. I have four landlines and high speed broadband. My monthly bill has been $230 for the past four years. It is paid automatically by deducting it from my bank account. Among residential customers, I am certainly gold. Even though I am Gold, I don’t think that my phone company knows this or has even thought about it. What would be wrong with a letter or an email just saying, “Thanks for being such a good customer, Mr. Hughes. We appreciate your business.” No need to give anything away, or to try to sell me something else. How could you prove that such messages are of any value? Here again an A/B split could be useful. Once you have identified your Gold customers, send half of them, occasionally, a greeting, and send nothing to the other half. Monitor the Gold customer churn situation. See if there is difference. Conclusion: Churn reduction in the telecom industry is a serious problem, but there are many things that can be done to reduce it, and, with a customer database, many ways of measuring your success.